As you may have guessed from the blurb, FACE TIME is about two people who date over FaceTime, the Apple equivalent of Skype. In one of the many conversations Lee and Laura have, they each give tours of their apartments via FaceTime and what they see reveals a lot about their past and personalities. When it’s Lee’s turn to give the tour, he passes a large mirror in his bedroom and Laura gets the chance to look at him again. She hasn’t seen him in a week and this opportunity to soak him in is too good to miss. I remember writing the scene and thinking how hard it must be to date virtually. It’s moments like these that I love about this book. 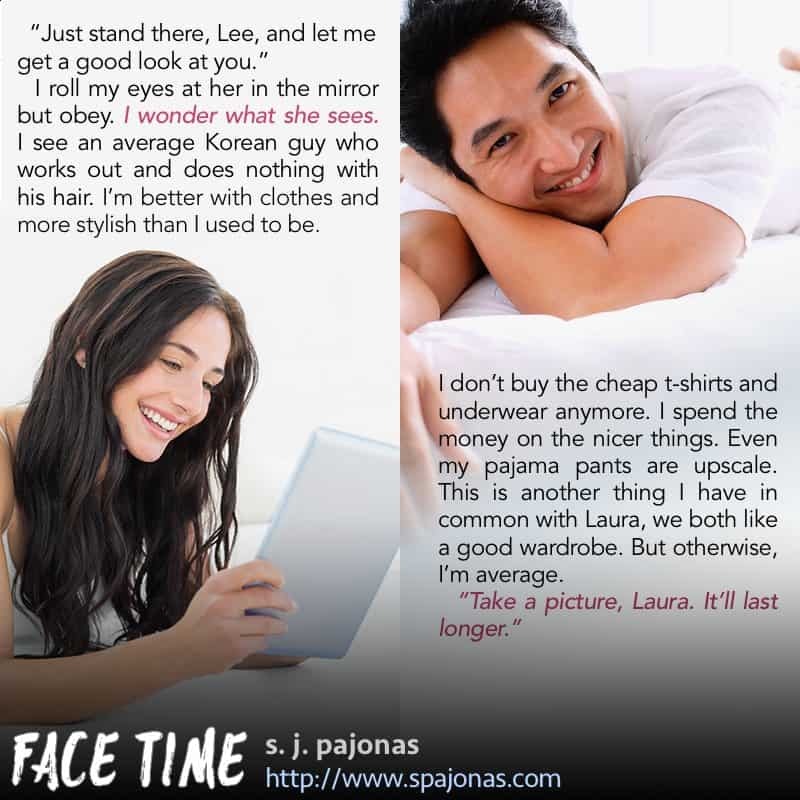 This is the second of six teasers for FACE TIME! I’ll be sharing one each week till launch.